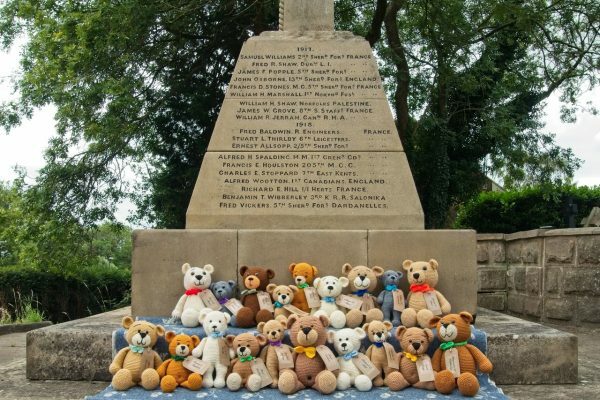 To mark the centenary of the end of the First World War a resident of the small village of Littleover, Derbyshire, has created 37 bears to be auctioned in memory of the 37 soldiers the village lost in that conflict. 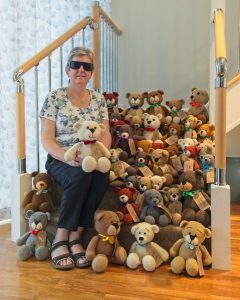 Sally lovingly crocheted the bears, not letting her vision impairment get in her way. The bears will be the stars of the show at the village’s gala dinner to mark the Armistice. 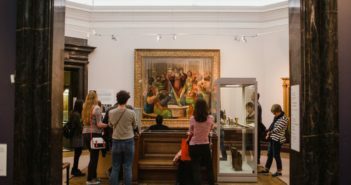 Proceeds from the action will go to Blind Veterans UK, the national charity for vision-impaired ex-Service men and women. Blind Veterans UK is a charity that initially started to support veterans of the First World War who had returned blind, and they have continued to support blind veterans and their families ever since. Sally has created each bear to be unique – each has a tag with that soldier’s name on, and is unique in colour, style and personality. 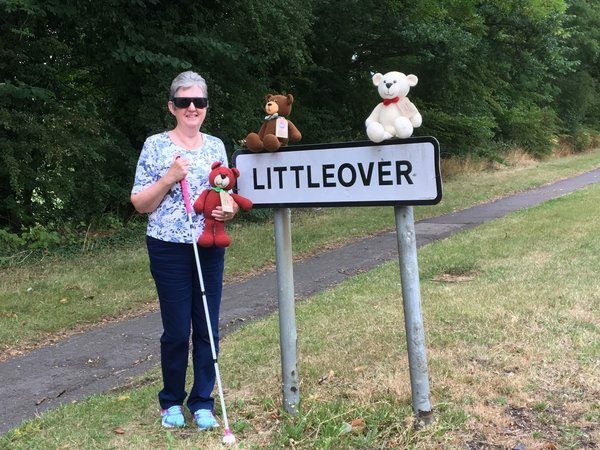 Blind Veterans UK is a cause close to Sally’s heart as she has a vision impairment herself, having lost her sight as a result of glaucoma, an inherited condition which also affected her father and grandmother. Sally, who says she does not need her vision to crochet, admits it was her father’s negative experience of sight loss that made her determined to support the charity. The bears will be available for a donation to Blind Veterans UK at the ‘Littleover 100’ Gala Day on 15th September 2018, running between 11am and 3pm on the Glebe Land at Shepherd Street, Littleover, DE23 6GA.